For the past year, some Gulf War veterans and advocates have argued that the Department of Veterans Affairs has minimized or even interfered with essential research into treating the disease known as Gulf War Illness. I’ve written about this before: From Congressional testimony about overlooked research data on Gulf War environmental exposures to “sweeping” changesmade to a committee designed to assess VA research on Gulf War Illness, advocates have alleged that VA is hampering scientific research. Now members of Congress have rebuked VA with a new bill designed to revive research efforts. Rep. Mike Coffman (R-Colo.), a Marine Corps veteran who served in the Gulf War and is on the House Veteran’s Affairs Committee, introduced the Gulf War Health Research Reform Act of 2014 earlier this month with co-sponsors Rep. Ann Kirkpatrick (D-Ariz.) and Rep. Mike Michaud (D-Maine). Its provisions focus largely on restoring independence to a federal research advisory committee created by Congress in 1998. The research committee was meant to help steer and assess research into chronic unexplained symptoms like fatigue, joint and muscle pain, and headaches, particularly after years of confusion about whether or not service members had been exposed to chemical agents in the Gulf War. 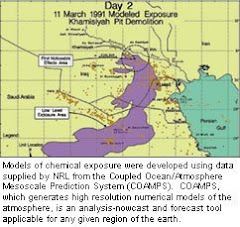 The Department of Defense denied that occurred – until the agency reversed itself and acknowledged that, in fact, some may have breathed the nerve gas sarin after American forces destroyed an ammunition depot in Khamisiyah, Iraq. Coffman’s bill changes how members are appointed, splitting up those nominations between chairmen of the congressional veterans committees and the VA Secretary. It also requires no fewer than three veteran members, and stipulates that at least eight of the members must be scientists or physicians with expertise in areas like epidemiology, immunology, neurology and toxicology. Other measures target the quality and type of scientific research. Funding or conducting animal studies, for example, should be considered to the same extent as human studies, according to the bill. 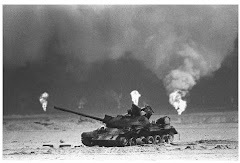 A new follow-up study should be conducted to collect data on symptoms from a large group of Gulf War veterans. The legislation also warns against the dissemination of a controversial Institute of Medicine report on the treatment of Gulf War Illness. VA contracted with IOM to produce the report, but advocates and members of the committee have criticized its findings as too narrow in scope. “As a Gulf War veteran, I’ve been extremely disappointed at the actions of VA staff to misdirect Gulf War illnesses research by reviving the scientifically discredited concept that ‘the same thing happens after every war’, and to eliminate oversight, just as science is finally making some progress,” Coffman said in a statement earlier this month. At the time, Dr. Robert Jesse, the VA’s principal deputy undersecretary of health, said in a blog post that revisions to the charter were made for administrative purposes. In the new bill, the “functions, powers, and duties” of the committee are to be carried out “independent” of the VA Secretary. This includes control of budgeting, staffing levels and personnel decisions. These elements are of particular interest to advocates. In February, committee members received a letter from VA requesting that they sign an agreement in exchange for reimbursement of meeting expenses. That agreement stated that members would not “publish or give to a third party any of the material developed under this agreement or provided by [Office of Research and Development] for your review without the written consent of the Acting Chief Research and Development Officer.” If the bill passes, VA would presumably not be able to make similar demands in the future. In a statement to me, VA said it did not yet have an official position on the legislation proposed by Rep. Coffman and his co-sponsors. Separate from his legislative efforts, Coffman also sent a letter to VA Secretary Eric Shinseki requesting that, based on recent research, the agency consider brain cancer, lung cancer and migraines as presumptive conditions for Gulf War veterans. Currently, VA assumes that “certain chronic, unexplained symptoms existing for 6 months or more are related to Gulf War service without regard to cause.” In particular, these illness include chronic fatigue syndrome, fibromyalgia and gastrointestinal disorders like irritable bowel syndrome. Coffman’s legislation (H.R. 4261) will be discussed at a hearing of the House Committee on Veterans’ Affairs on March 25.